The Mint Julep is kind of like the Mojito of the southeastern United States. 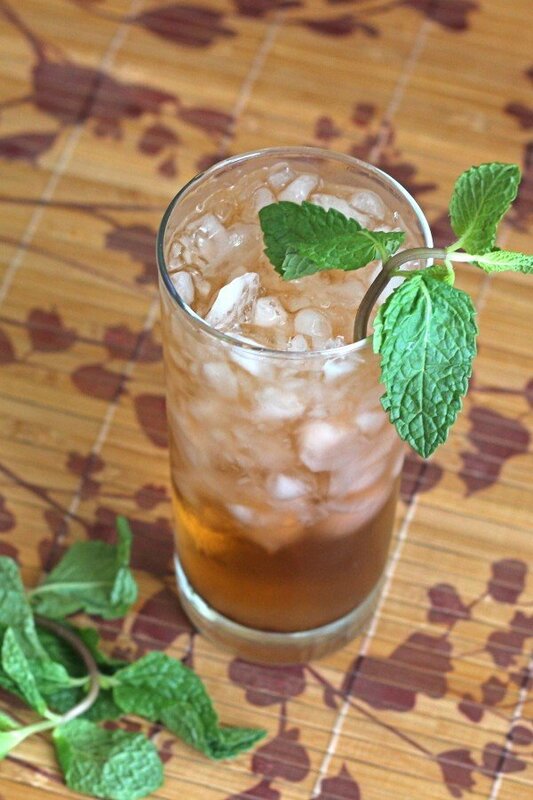 It’s a refreshing combination of mint, sugar, bourbon and water, perfect for sipping on hot days. The major difference between it and the Mojito is that it uses bourbon instead of rum. Being Southern, the Mint Julep is absolutely perfect paired with rich Southern foods, like barbecue and fried chicken. Flavorful foods can stand up to the mint without getting overwhelmed. Mint drinks also go well with smoky and spicy foods, and of course this drink is perfect all on its own or with a cigar.